At Angler’s Adventures & Outfitters, every day is an adventure and every moment out on the water is a chance to witness something miraculous. 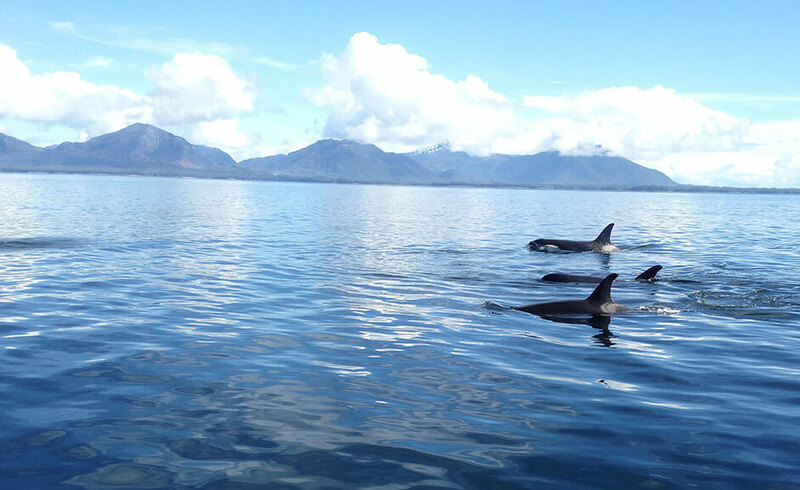 Located in beautiful Southeast Alaska, our charter is in the prime location for bearing witness to some beautiful whales. If you’re interested in more information on whale watching charters, you’re in the right place. Welcome aboard! Captain Brian Ringeisen is your knowledgeable and experienced guide and captain. He has been guiding visitors through our Alaskan waters for over 26 years, but has even more experience on the water under his belt. Beginning as a US Coast Guard at age 19, Brian has always felt most at home out on the water. Above all, safety of his passengers is Brian’s first priority. He is both CPR and First Aid certified. 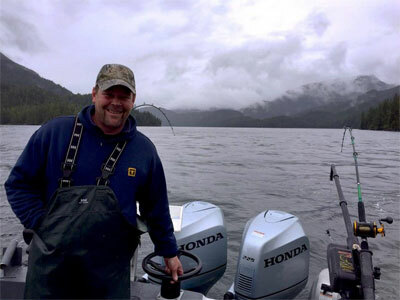 He, as well as his boat, is fully licensed and insured, and his experience on the Alaskan waters cannot be matched. When you book a charter, your goals quickly become his. Your main focus will be keeping your camera ready for that picture perfect whale photograph. Brian understands the importance of creating those lasting memories and cultivating a great experience for everyone on the charter. When you think of Alaskan wildlife, Ketchikan should come to mind. It is the prime location for taking in all the beauty that the Alaskan frontier brings. Ketchikan is the most southeastern city in Alaska, making it easy and convenient to get to! Our specific charter is tucked away into the beautiful Knudson Cove. This cove is the prime location for viewing local wildlife as it is away from the busy waters and downtown areas. Rip roaring and ready to go, our 28’ Bayliner Trophy boat is locked, loaded and waiting calmly, ready to take out our next group of adventurers! If you are wanting a whale watching trip of a lifetime, Ketchikan is the place to be. Sea Lions, humpback whales, and killer whales can always bring a level of excitement on a chartered trip. Just like we are attracted to the large schools of fish entering our vicinity in the spring and summer months, so are the whales! Just like in Finding Nemo, we can watch the herring, salmon and krill swim away as the Humpback whales make their way out for a nice lunch. Let’s also not forget our Sea Lion and Killer Whale video caught right on the boat! Watching a Killer whale throw a Seal Lion out of the water with his tail is something that no one ever forgets! Imagine having that view up close and personal right on our boat! This is one of the many reasons that makes Angler’s Adventures & Outfitters one of the absolute best places to go whale watching! For more information about whale watching charters, or customizing your trip, give us a call today. Call Angler’s Adventures & Outfitters at 907-254-0880 or email brian@anglers-adventures.com and plan your next exciting excursion!